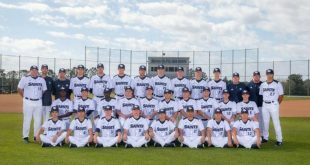 The Santa Fe Saints split a doubleheader against the St. Johns River State College Vikings Thursday night. The Saints took the first game-winning 7-0, but then fell 6-4 in the second game. Game 1 was dominated by the Saints. The squad came out strong in the bottom of the first inning with a quick 3 run blast out of the park by Adriana Garip to put the Saints up 3-0. Seconds later, Cameron Trehy hit another home run sending her and Dontaysha Gobourne home making it 5-0 Saints. The Saints scored two more in the bottom of the third when Karina Ortiz-Munoz hit a deep ball on the left field fence that sent Emily Yakel and Kaitlyn Bennett home running up the score 7-0. 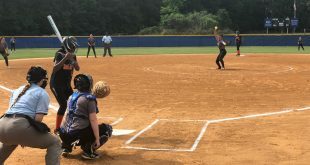 The big key to game one was the stellar pitching by Dontaysha Gobourne who kept the Vikings scoreless the entire game. Gobourne recorded a new season-high of strikeouts with 12 for the game. The Saint’s last two home games were accompanied by a ceremony for all eight of the Saint’s sophomores. 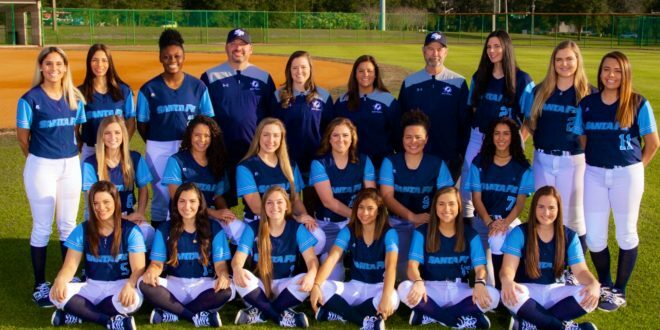 Sophomores include Sophia Negron, Emily Yakel, Kaitlyn Bennett, Adriana Garip, Jamie Adams, Giulia Fiorentini, Tihana Zupanic and Cameron Trehy. 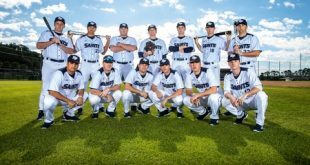 Game two had an opposite tone for the Saints as they gave up five hits and four runs in just the first inning. A couple of errors by the Saint’s outfield turned single hits by the Vikings into runs. Down 4-0, the Saints attempted a comeback after a 2 run triple from Cam Trehy bounced off the body of a Viking and sent two Saints home, making the score 4-2. The Vikings answered back scoring two more runs resulting from two more errors by the Saints, putting them up 6-2. Another Garip’s home run sent two home, bringing the Saints down by 2 again, 6-4, in the bottom of the fifth. 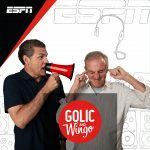 But, the Saints weren’t able to make the comeback, falling 6-4 to the Vikings. ” What I liked in the first game is we did a really really good job of setting the tone of the game. In the second game, we allowed them to set the tone,” Saint’s head coach Lindsay Fico said. The split puts the Saints at 23-25 on the season and 11-11 in conference play. 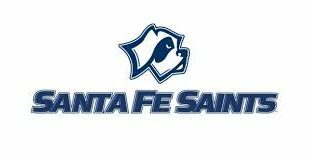 Santa Fe will play at Seminole State College of Florida Saturday in a doubleheader matchup that will be the last two regular season games.